Are you ready for some football? 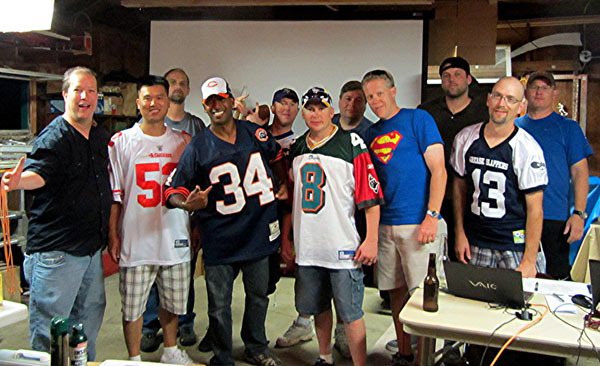 The team owners in the League To Be Named Later Fantasy Football League certainly are. 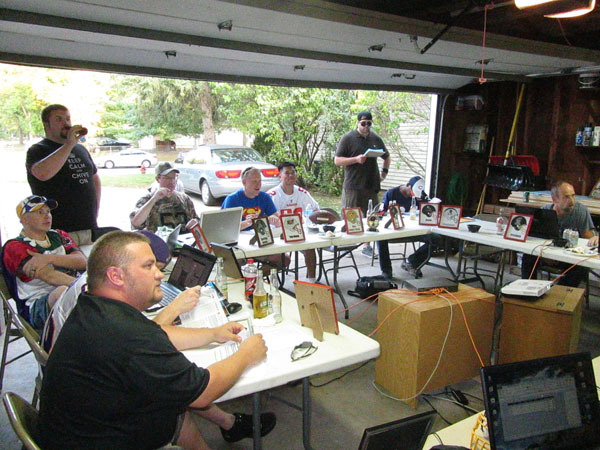 We gathered for our annual Auction draft last Friday night. I was berated at the beginning of the night for causing too much "BS" in the background in past auction drafts, so I figured I'd better be extra good this year. That lasted for about 10 minutes or so. Steve "Cuds" Cuddihy is the best Fantasy Commissioner in the business! 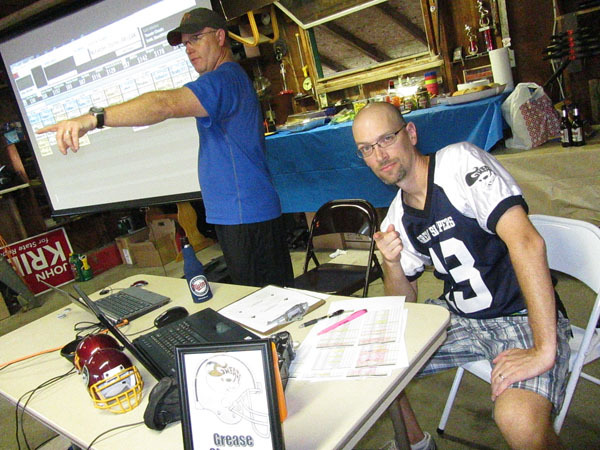 He runs a Top Notch draft complete with a fully interactive digital draft board, a live Auctioneer named Curtis, wireless internet access, and a catered meal for all participants. Nothing but class with this guy. 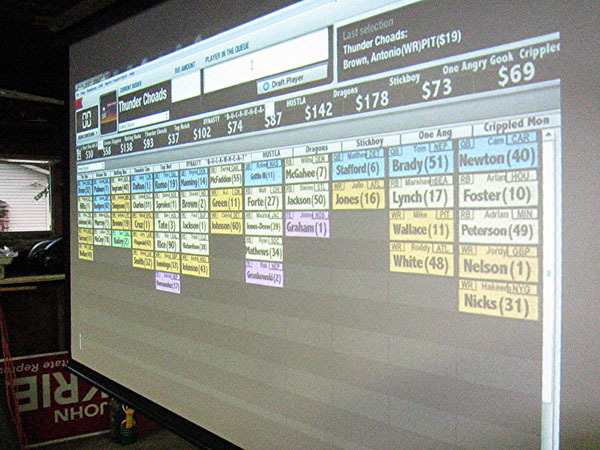 In our auction draft, team owners each get a Fantasy $200.00 to bid on their favorite players. We also each get to keep two players for up to thee seasons. I was feeling pretty confident heading into the evening with Arian Foster under contract for only $10.00 and Jordy Nelson for only a buck. Then somebody threw Adrian Peterson out there early and my Vikings love got the best of me and I overpaid for him which cost me $49.00. I should have held out for Darren McFadden the way I keep hearing the Vikings say they are going to hold Adrian Peterson back until they're sure his knee is healed. I'm hoping the rest of my team can carry me through the start of the season until he's completely back in action! We have a pretty competitive group of fellows participating in the league every year. But I'm confident I'm gonna beat all of them! I just can't wait for the season to begin!